From pre-school to University, STEPS AK partners are working to create the conditions to dramatically improve academic outcomes, school climate and the well-being of Alaskan students. One of those conditions is creating trauma informed learning or program environments. While we may not always know which students have experienced trauma, we know that two out of three Alaskan children have been exposed to traumatic experiences. These experiences impact Alaskans across racial, social, economic, and geographic lines, and can lead to higher dropout rates, lower academic performance, lower employment rates and lower health outcomes. The good news is, that STEPS partners are incorporating trauma-engaged approaches into schools and programs. To support these efforts, school districts, Tribes, and community organizations can now access a new Alaska-specific framework, Transforming Schools: A Framework for Trauma Engaged Practice. The framework provides insight into policies, practices, and shared understandings that can create a true shift in how school staff, students, and families work together to support student learning. “Resources like “Transforming Schools: A Framework for Trauma-Engaged Practice in Alaska” can help them fully benefit from educational opportunities. This tool, which will be shared with all Alaskans, is an important step in advancing the state’s Education Challenge priority of Safety and Well-Being.” said Commissioner Johnson. Schools, family and community members each have an important role to play and can work together to create a reliable space for children and create learning environments where each student can learn. What’s more, we know that when a school institute’s trauma informed practices, it benefits all students. 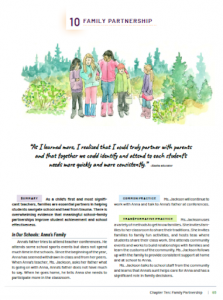 Transforming Schools: A Framework for Trauma Engaged Practice in Alaska offers an understanding of trauma and a framework for transforming practices that place relationship building at the center of all instructional practices and interactions with students. Each chapter of the framework provides research and information to illustrate how trauma impacts our brain and our actions. The framework also offers an introduction to the collective and individual trauma histories experienced within the educational system. Relationships: Caring and supportive relationships with peers and adults are the most powerful antidote to trauma. Coordination: Common language, understanding, and a shared vision on how to support students school-wide can provide consistent experiences for students. Skill-building and instruction: Just like math skills, core social and emotional skills that help students regulate emotions or build relationships– can be taught, modeled, practiced, and learned. Policies: Transformative school policies can range from hiring practices, accountability measures, or embedding school discipline practices that are restorative rather than punitive. Elders and community members often point out that Alaskans have been supporting, strengthening and healing children, parents, and community for thousands of years. Many Alaska educators have begun integrating culturally-responsive and trauma-engaged practices into schools and classrooms. Therefore this framework is not proscriptive, but builds on past and current work, integrat­ing what we know about best practices with Alaskans’ unique strengths and circumstances. Each school will have specific needs and cultural context. Creating supportive, trauma-engaged, and safe schools requires holistic change, and a mindset shift for students, administrators, school staff, and community members. Community and family involvement are critical to broad and lasting change. This framework is unique, both in Alaska and nationally. Some districts will be interested in the research to build buy in. Other districts will use the reflection questions and ideas for action to develop concrete next steps for supporting students in school. Each chapter of this framework includes a story of a student or teacher. The example highlights common practices and transformative practices that consider trauma-engaged approaches. Each story is followed by relevant research and information and suggested steps. Each chapter also provides essential reflection questions for school and district teams. These reflections can help be the building blocks for shared understanding and widespread integration of transformative practices. Readers are encouraged to work through this framework with colleagues and community members, and to use the suggestions and reflections questions that feel most appropriate. To get started, readers only need an interest in learning, a commitment to student success, humility, and the spirit of collaboration. This framework was developed in response to requests from concerned Alaskans across the state. It is a collaborative project of the Alaska Department of Education and Early Development, First Alaskans Institute, Alaska Afterschool Network, Alaska Mental Health Board, Council on Domestic Violence and Sexual Assault, Alaska Child Trauma Center, and Association of Alaska School Board’s Initiative for Community Engagement. More than 200 community members, school board members, school staff, counselors, nurses, and administrators throughout the state contributed input and feedback.